Welcome to my page of RPG publications, rules, variants, and more! Click on the image to go directly to the document. Star Trek Adventures Cheat Sheet – As it says on the tin. A four page cheat sheet (also useful as a GM screen) for the Trek RPG by Modiphius. 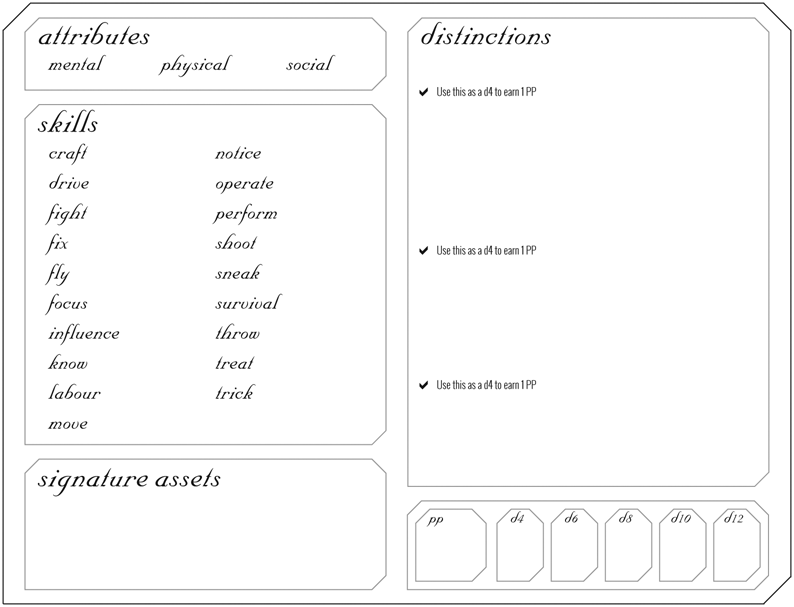 Star Trek Adventures Character Sheet – A two-sided character sheet that can be folded into a booklet. Can also be used as a single page sheet (no backside), as only the equipment list resides on the back. Star Trek Adventures Species: Cizerack – Based on the species from the Battlelords RPG, a mostly non-morphic feline species. Though they can stand upright and walk bipedal, they much prefer remaining on all fours. Mouse Guard Flowchart – A cheat/reference sheet displaying the task resolution system for both regular and versus tests. Technical Update: Neverending Offensive – A supplement of variant rules, equipment, weapons, and vehicles for the Renegade Legion line of games, including Interceptor, Centurion, and Leviathan. Originally posted on my long-running Renegade Legion website, and subsequently turned into this supplemental source book. 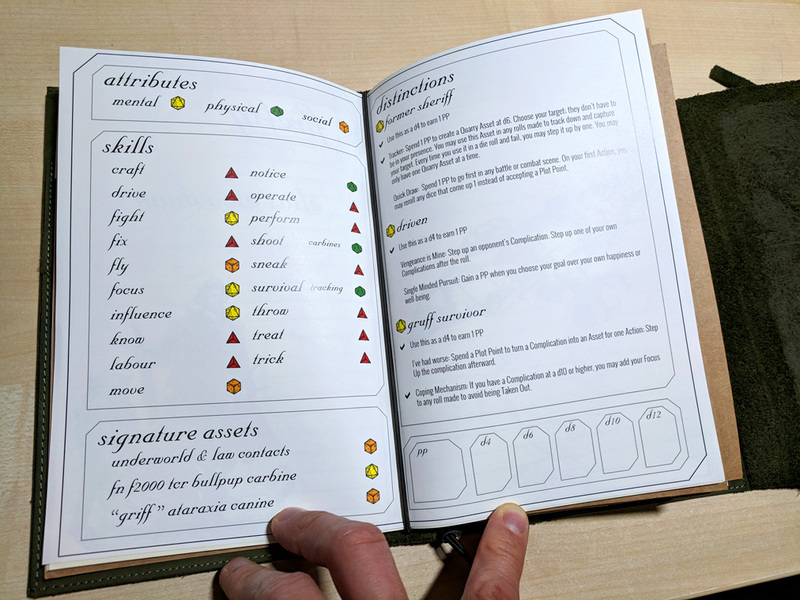 Interceptor Second Edition – The second edition rules for Interceptor. Written by Don Gallagher, these rules were to have been officially published by Nightshift Games as part of their new line of Renegade Legion games. They were graciously provided to me by Don and I have compiled them into this complete rulebook. Alternate Weapons for Car Wars – In the future, right of way is to those with the biggest guns. Here are some more guns; alternate guns for your Car Wars games. Cortex Plus Firefly Character Sheet – A single-page character sheet for Firefly, in both PDF and InDesign formats. Meant to be used with dice icons, see a completed example here.